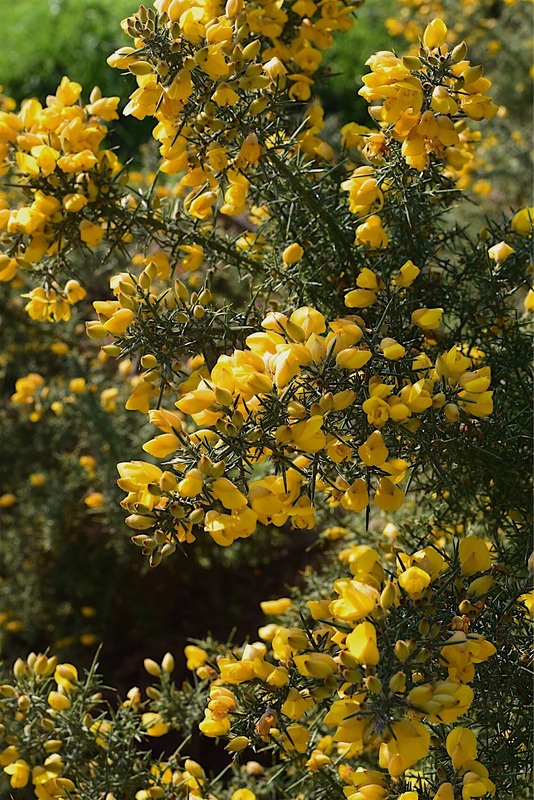 Gorse flowers are a fabulous source of nectar and pollen for emerging bees in spring, I took this just yesterday in the Cotswold village of Stanton. I’ve been making more than documenting these last couple of weeks, we’re not yet finished in the honey room but nearly. I actually hate sanding but mask and goggles were donned for many hours as I’ve cleaned up walls and woodwork; I might have worked on a few hive boxes too. I wanted to change the way we used to decorate and use mostly reclaimed materials, repurpose what we already have and resist painting every surface. 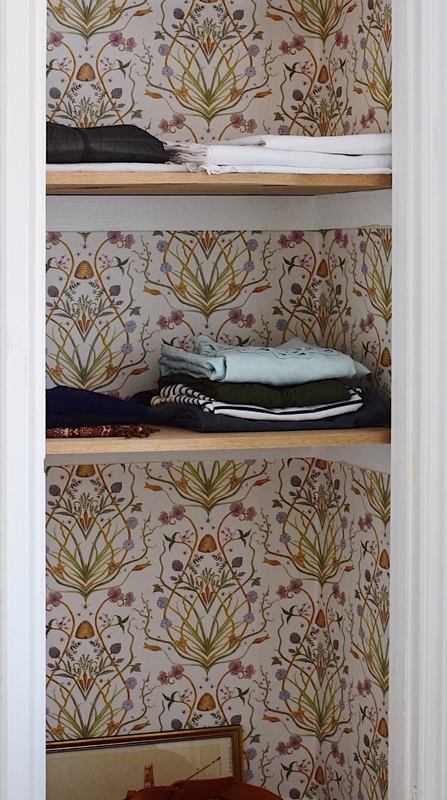 I’ve bought some wallpaper though which I’m using very sparingly in the new wardrobe space for example so you’ll see why the room is now the honey room, not the ironing room, ironing doesn’t deserve dedicated space so board and iron have emigrated. The wardrobe had been used to stow vintage clothes aka things we wore decades ago and kept because they were special, boxes of photos and my collection of children’s books. So the clothes have gone, that was easy, the photos have been boxed and put in another space for now, and the books are going to be displayed in a reading nook in another corner of the room. The other two children’s bedrooms have been holding bays whilst I’ve sorted through stuff; it’s an on-going process for me which takes time, I have to consider each item carefully. Maybe I’ve been brainwashed by Marie Kondo. The new wardrobe has shelves of reclaimed oak instead of a hanging rail and is home to out of season things that really do spark joy. I took the door off to make a feature in a room that’s rather plain. I’ll dress the bed with a golden yellow fabric from somewhere, I like kantha quilts, and I’m looking forward to reupholstering a little chair from the 50’s for the reading nook; I didn’t realise I had so many Babar books. There’ll be more photos to show you over the coming weeks.